Xilisoft iPod Video Converter is a powerful iPod conversion tool, extremely easy to use. It can help you easily and rapidly convert popular video formats like AVI, MPEG, WMV, MOV, MP4, RM, RMVB, DivX, ASF, VOB, 3GP, etc to iPod video with the perfect output quality. 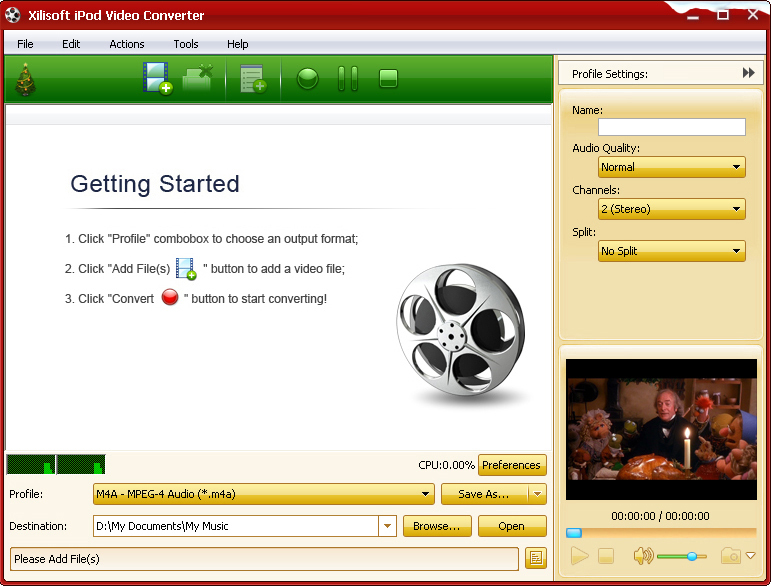 In addition, it provides a powerful way to convert audio files including WAV, WMV, MP2, AC3, RA, M4A, OGG, AAC etc. to iPod supported MP3.